Preheat the oven to 350°. In a stand mixer fitted with the paddle, beat all of the ingredients through the pepper on low speed until smooth. Using a spatula, gently fold in the crab. Transfer to a 1-quart baking dish and bake until heated through and the edges are bubbling, 20 minutes. Garnish with more benne seeds and serve with crackers and crudités. 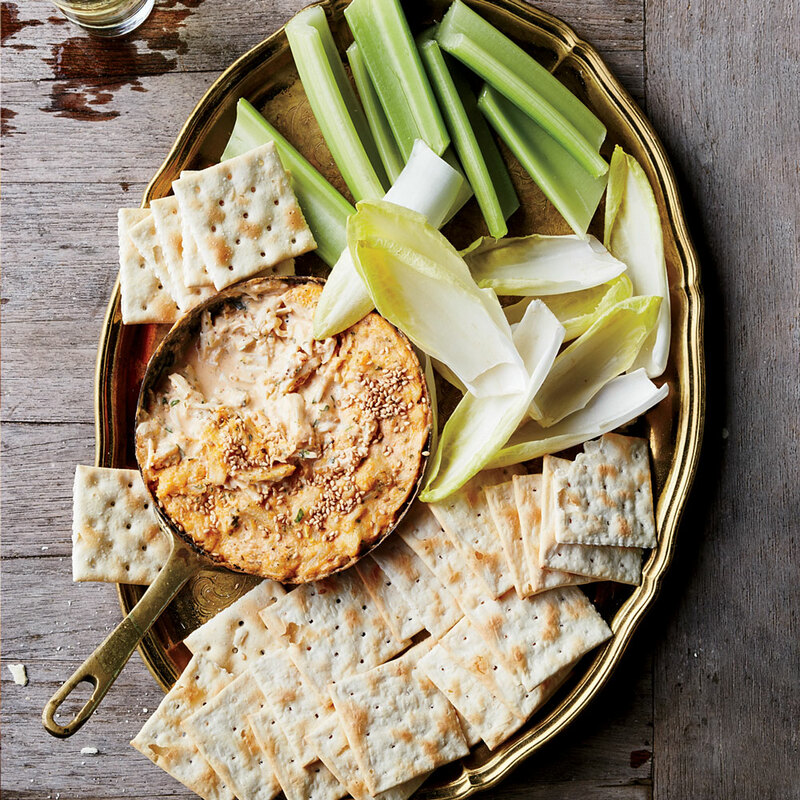 The unbaked crab dip can be refrigerated overnight. Bring to room temperature before baking.